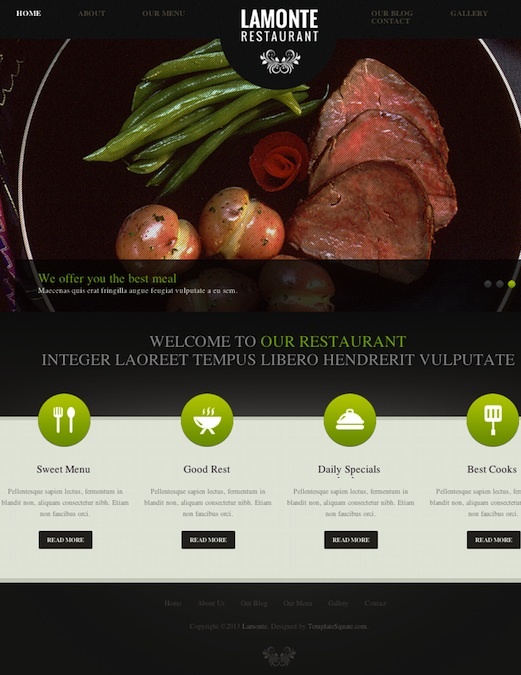 LaMonte is a modern restaurant WordPress theme. This theme suitable for restaurant, food, cafe, business and portfolio sites. Features include responsive design, food menu cards, contact details, opening hours, google maps integrated, featured image slider, about the chefs page, photo gallery, shortcodes and more.